Need your daily fix of free apps? We’ve handpicked 17 iPhone, iPad and iPod touch apps that are free today only. 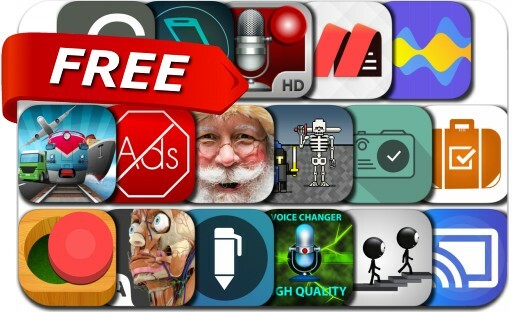 This apps gone free alert includes Rocket Video for Google Cast and Chromecast to TV, Audio spectrum analyzer and dB meter, Sticklings, iScan Pro, Voice Changer Effect, PDF Markup Ultimate, 8bitWar: Necropolis, Photo Reminders, Draw Pad Pro and many others.